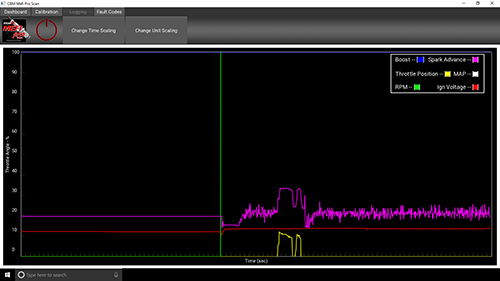 MEFIpro Scan™ 1.3 software`s virtual Dashboard allows you to view sensor data such as IAC, TPS and 02 voltage in real time, keep an eye on your Boost Amount, Spark Advance and Knock Retard plus dozens more of the Mefi`s output signals. 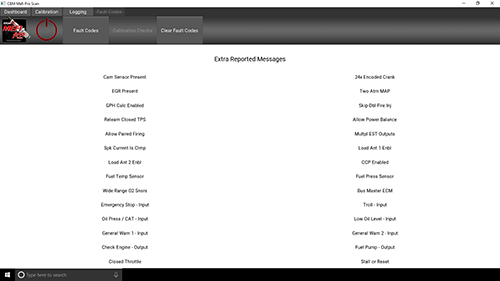 Select Dashboard Detail and get information such as Run Hours, Engine Displacement, Octane Ratings and Software Revisions. 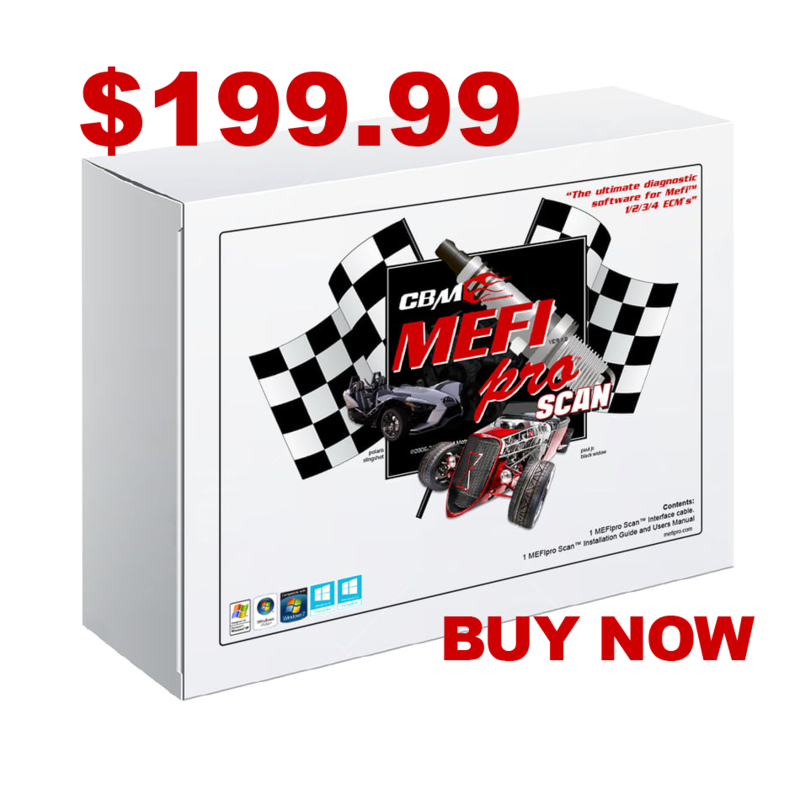 MEFI™ ECM Controllers are used in a wide variety of applications, including: Marine - MerCruiser, Indmar, and many boating applications Off-Road - Sand rails, Race Cars, Industrial Engines, Polaris Slingshots and Crate Engines. One MEFIpro Scan™ 1.3 software license (interface cable) will allow you to interface with an unlimited amount of Mefi ECM`s. Compatiable Windows Systems: Windows XP, Windows 7, 8 and 10. 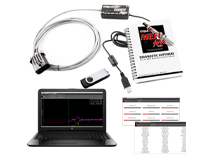 MEFIpro Scan™ 1.3 software package comes complete with everything you will need to interface with MEFI™ 1, 2, 3, 4, 4A and 4B controllers: 1 USB OBDII - MEFIpro Scan™ Interface Cable. 1 USB Chip includes downloads, step-by-step installation guide and users manual. 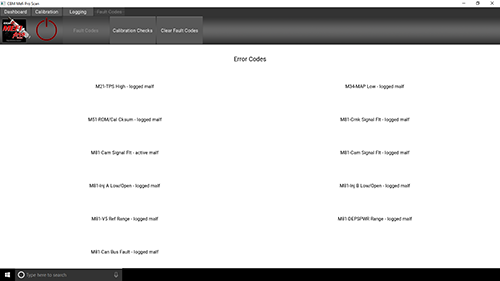 Read and Erase Fault codes with MEFIpro Scan™ 1.3. 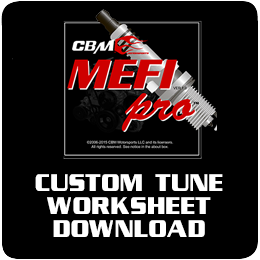 Check engine calibrations with MEFIpro Scan™ 1.3. 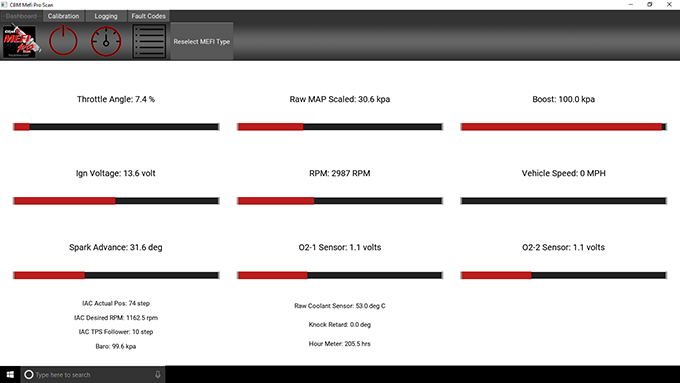 MEFIpro Scan™ 1.3 allows you to customize what you view and the way you view it through real time graphs using the change Time and Unit Scaling option. With MEFIpro Scan™ 1.3 you can Save, Write and Erase calibrations, even Convert Motorola to Binary on MEFI™ 4, 4A and 4B ECM`s.